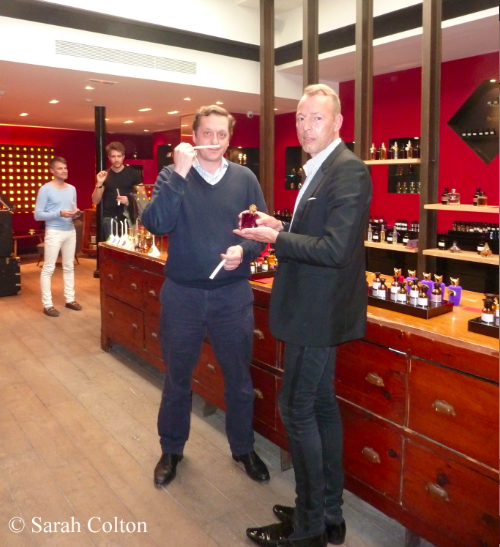 Karl Brandl, co-owner of Ades de Venustas was recently with François Hénin at Jovoy to present Iris Nazarena, the second fragrance from his ground breaking New York niche fragrance company and boutique. Created by the perfumer Ralf Schwieger with an iris and incense accord, Iris Nazarena is presented in the same (now) iconic 20s inspired bottle as its elder sister, Aedes de Venustas, only this time in tones of smoky iris gray. 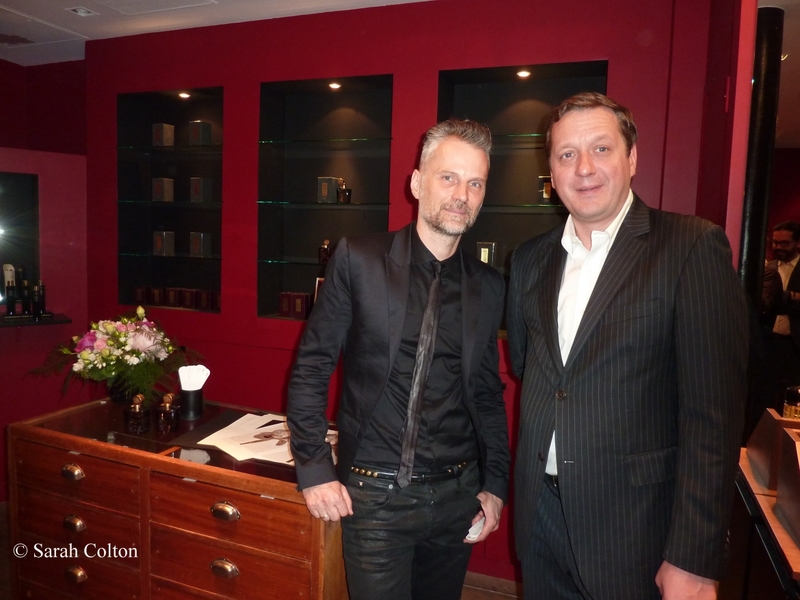 A year ago (June 2012) Robert Gerstner, co-owner of Aedes de Venustas, was at Jovoy with François presenting the first fragrance of the brand, Aedes de Venustas, created by Bernard Duchaufour, with its unusual rhubarb vetiver accord, and presented in a voluptous plum hued bottle inspired by a piece of 1920s art glass discovered in a Chelsea (NY) flea-Market. OPHONE & the Virtual Coffee What next?